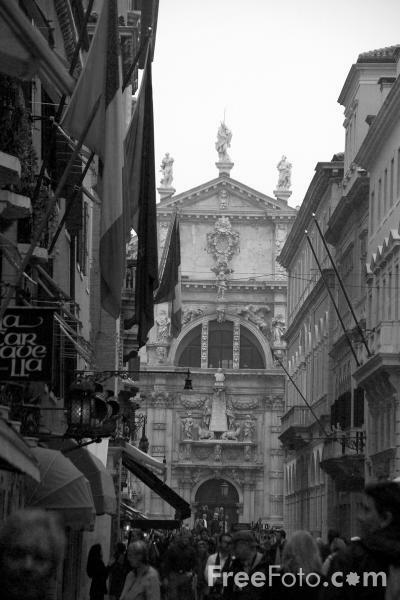 Black and White picture of the delightful back streets and alleyways of Venice. Venice is Europe's largest carfree area. A city entirely without cars or trucks. VIEW: More images from the category Back Streets of Venice, Italy - Venezia Italia or around the same time .